Beginning April 4th, public workshops will be held regarding future potential use of the San Pablo Avenue corridor from Downtown Oakland through to the City of San Pablo. We welcome your input. 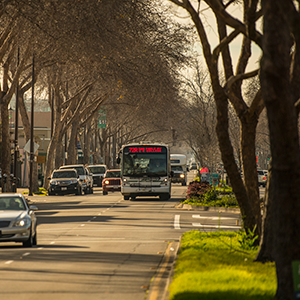 The San Pablo Avenue Corridor Project seeks to develop a long-term vision and near-term improvements for San Pablo Avenue to improve mobility, efficiency and safety for current and future users while supporting a strong local economy and communities. This multi-year effort spans from Downtown Oakland in the south through the City of San Pablo in the north. The project is currently at the early conceptual design stage. For more information on this projects, please visit the Alameda CTC project web page. Take advantage of your opportunity for input by completing an ONLINE SURVEY and/or attending one of the workshops. For more information on these and future meetings, go to www.alamedactc.org/sanpabloave and click the “Provide Your Input” tab.